Wine is made in all 50 states and every state will tell you their “home-grown” wines are fantastic, wonderful, the best. But we all know that there are few states that have the conditions needed to actually grow grapes that can be made into wine of any real quality. You’ve got basically the whole West Coast, bits of New York, an even smaller bit of Arizona and then Virginia. (And no, I will not accept that there are currently other states making really good wine. And, yes, I’ve tasted Texas wine.) There has been much written about the influence of Thomas Jefferson on American winemaking and much smarter people than I have written many books which you should read if you want the full story. Basically it boils down to this: he was totally on to something. 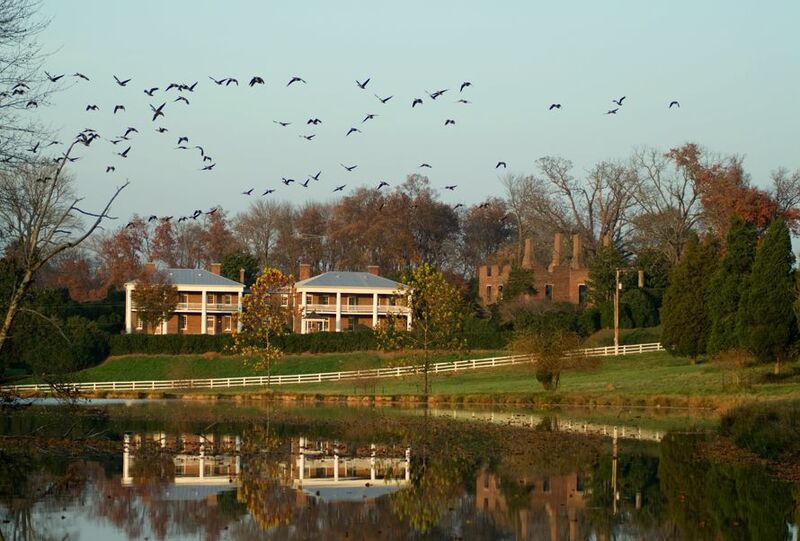 The current Monticello AVA encompasses Jefferson’s own vineyard, which you can visit and should right after you complete the tour of his amazing home. Charlottesville is the nearest city and you could certainly make it a home base for visiting wineries, but then this would have to be a Charlottesville post and it is not. Besides there are the following spectacular places to stay in the country including two that are on the site of wineries you will want to explore anyway. And I say cheers to that! There is a chance that if you stay here you won’t make it to anything else. The scenery is stunning, there are ruins to explore, wines to drink and a stellar restaurant. The Clifton may not be at a winery but it does not lack in gorgeous views. You can stay at the main house, a variety of small cottages or on the farm, any of which are so nice you’ll wish you could live in them. According to Home Away this is an estate rental and for once, it seems that label is accurate. This place is so nice and so perfect for a large family getaway or a friend reunion and with 5 bedrooms and 7 bathrooms there is plenty of space. Not that you’ll feel cramped with 23 acres to roam.